Clickety-Clack train birthday party. 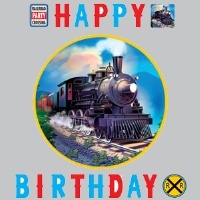 Add excitement & fun to your train party with our new Clickety-Clack party theme. Clickety-Clack train is here to take you on a adventures ride. Climb Aboard!